Blue Hawk Investigations – highly-trained professionals bringing years of experience to your investigative needs. Donald R. Kleber is the founder and President of Blue Hawk Investigations located in Fairfield, CT. Mr. Kleber is a former Special Agent of the Federal Bureau of Investigation and former Unit Chief of Security and Licensing for the State of Connecticut’s Division of Special Revenue. During Mr. Kleber’s tenure with the FBI, he was the lead agent on some of the largest investigations in the New York Office and the New Haven Office. During his 29 years of service in New York, Connecticut and Virginia, he served as a member of the New York City Joint Bank Robbery Task Force and New York City Terrorist Task Force. He was also a tactical team leader for the New York Office S.W.A.T. Team. His wide range of practical experience includes, Kidnappings, Extortions, Corporate Product Tampering, Parental Kidnappings, Hostage Rescue, Theft from Interstate Shipments, Bank Robberies, Executive Protection, and Crises Management. Mr. Kleber is also a FBI certified Police Instructor, who has guest lectured at the FBI Academy, Quantico, VA, Westchester County New York Police Academy, Connecticut Police Academy, Monmouth University, Iona College, Fairfield University and Dubai, UAE Police Academy. Following the events of 9/11 Mr. Kleber was detached to Guantanamo Bay, Cuba as a Team Leader responsible for enemy combatant interviews. 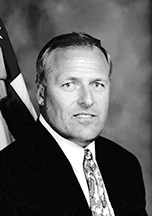 Following his retirement in 2006, Mr. Kleber accepted a Governor appointed position with Connecticut’s Division of Special Revenue as Unit Chief of Security and Licensing. In this position Mr. Kleber was responsible to insure the integrity of all legal gaming in Connecticut and to conduct due diligence investigations on all individuals and businesses who participate in Connecticut’s gaming industry. Mr. Kleber is a member of The FBI National Academy Associates, The Town of Fairfield Board of Police Commissioners, The Society of Former Special Agents of the FBI and National Law Enforcement Associates.